STIC Travels at present represents some of the world’s top travel, aviation, tourism, cruise and hotel brands in India. In order to serve these brands effectively, STIC has developed exclusive divisions catering to their specific needs and goals. Each brand is managed by a dedicated team of professionals focused on achieving the desired sales and marketing goals and is supported by comprehensive plans and promotions. Public relations activity and promotional events are carried out at regular intervals targeting travel agents, tour operators, corporate clients, press and media etc. to ensure that the brands represented get the maximum visibility. Our marketing team also identifies complementary brands in the industry to structure co-branded marketing tie-ups. 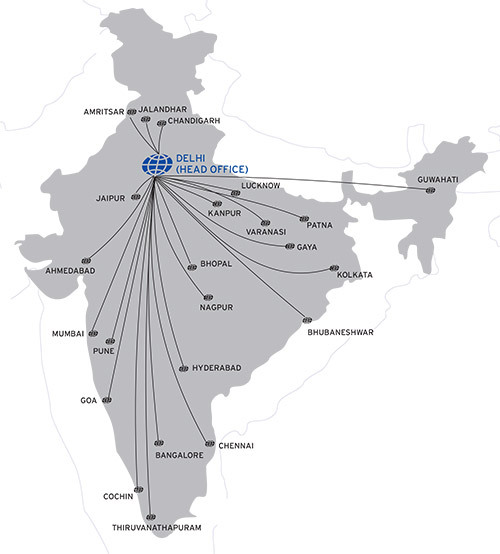 We provide valuable management, sales, marketing and operational services to some of the world's leading airlines as their exclusive General Sales Agent in India. STIC conducts all sales, PR, marketing and operational activities for global award winning cruise companies targeting all customer segments. As representatives of globally acclaimed hotel and resort chains, we provide sales, reservations and marketing services to a cross-section of brands ranging from premium luxury to mid segment business and budget hotels. We provide comprehensive market coverage, PR, direct marketing, and product information distribution services to tourism boards and theme parks for the Indian travel industry and retail market. We provide exclusive travel & lifestyle products for students & youth on air tickets, worldwide hostel bookings, coach passes, train tickets etc. through our exclusive partnership with STA Travel and the International Student Identity card (ISIC). Besides representing airlines as their Cargo GSA for India, we also provide warehousing facilities and conduct cargo charters for shippers and export houses in India. Services for all categories of charters like Heli-sightseeing; Heli-skiing; Leisure charter flights; Charter flights for pilgrimage in India; Charter a helicopter; Corporate jets; Executive jets; Aircraft on rent for film shooting; Air Ambulance and Cargo Charter are provided by this division. To cater to the needs of both Indian and international clients, this division offers a diverse range of tour packages catering to all customer and budget categories. The team is also experienced in successfully managing conferences, exhibitions and AGM’s both in India and worldwide. Our portfolio of products range from Religious to Cultural and Adventure Tours, Students to Honeymoon packages etc. We also promote luxury cruises worldwide, tour packages to destinations like Sri Lanka, Thailand, Malaysia, Singapore, Hong Kong, Australia, and many more. 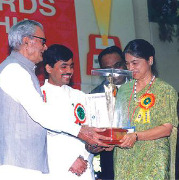 Niryat Shri Award instituted by the Ministry of Commerce presented by the Vice President of India. 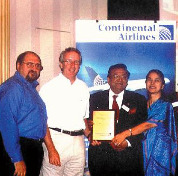 STIC was the only company in the industry to receive the same for "excellence"
14 Awards received from Continental Airlines for "World's Best GSA"
Multiple awards received from SriLankan Airlines for "Sales Performance"
“World’s Best GSA” Award being presented to Chairman & MD of STIC Travel Group by Continental Airlines in Houston (2003). 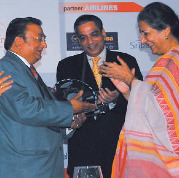 Niryat Shri Award instituted by the Ministry of Commerce. Being presented by the Vice President of India to Chairman & MD of STIC Travel Group. STIC was the only company in the industry to receive the same for “excellence”. 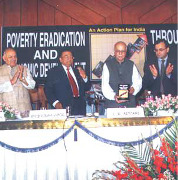 Mr. L. K. Advani (Deputy Prime Minister) releases Chairman’s book titled “Poverty Eradication and Economic Development through Tourism”. South Asian Travel & Tourism Exchange (SATTE) conferred the "Ambassador of India Tourism" award to Mr. Subhash Goyal, Chairman STIC Travel Group. Beyond all the above aspects the main reason why companies have chosen STIC as its partner in India is due to strong domain knowledge developed over three decades of consistent growth across various regions of the country. This organic growth combined with strong sales and marketing acumen and an in-depth understanding of the intricacies of various geographic and psychographic customer segments has resulted in the company consistently exceeding performance level benchmarks established by the brands represented. A strong workforce of more than 300 employees.